Research and Development is one of the three key aims that make up the strategy of Milton Keynes University Hospital. Research is an essential part of making healthcare better. It can lead to new treatment or provide evidence of the best available treatments for a clinical condition. Without research there would be no new ways to treat you, it is just as important to your healthcare as your doctor and your hospital. Over the last few years, Research and Development has been one of the fastest growing areas within the hospital and we are consistently in the top five small acute trusts in England for our research performance. 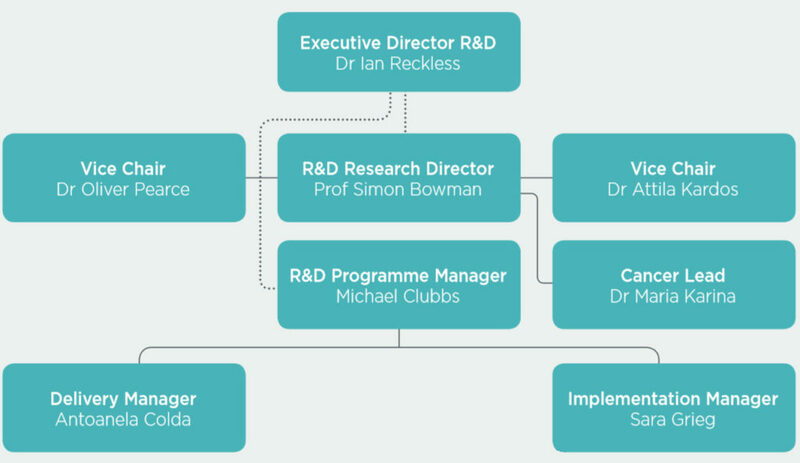 Raising the profile of R&D at MKUH internally and externally. Clinical research is a branch of medicine that looks at the safety and effectiveness of drugs, medical devices, treatments and diagnostic tools planned for use in humans. Clinical trials look at new ways to prevent, detect, or treat disease. Treatments might be new drugs or new combinations of drugs, new surgical procedures or devices, or new ways to use existing treatments. The goal of clinical trials is to see if a new test or treatment works and is safe. It may involve patients or healthy volunteers, or both. Research is not just about testing new drugs; it is everything that can improve quality care and experience for our patients. For further information on this, please see the video below. To view our 2017/2018 highlights report, please click here . High-quality clinical research that benefits patients all around the world is not possible without your help. Taking part in a study might mean completing a questionnaire, an extra blood sample, taking a new medicine or trying a new treatment. If you decide to take part in research, you are free to withdraw at any time, without giving a reason. You will continue to receive the best available care. Patients are usually approached by a doctor or a nurse to take part in a study, but if you are interested in learning more please contact Sara Greig ([email protected]) or Antoanela Colda ([email protected]).